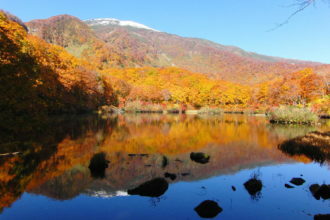 This pond is a popular place for taking photographs and hiking. 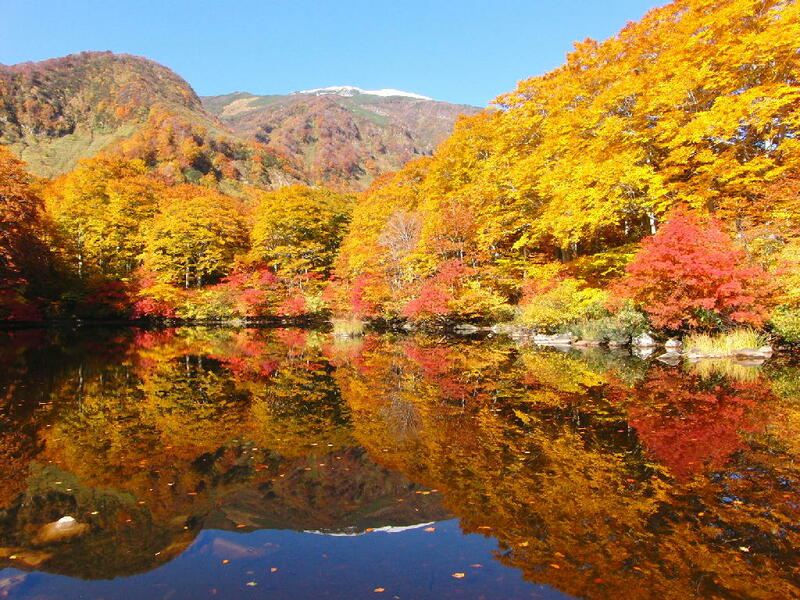 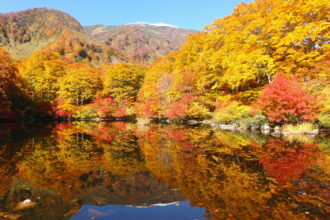 The fresh foliage in May and autumn colors in October are beautiful. 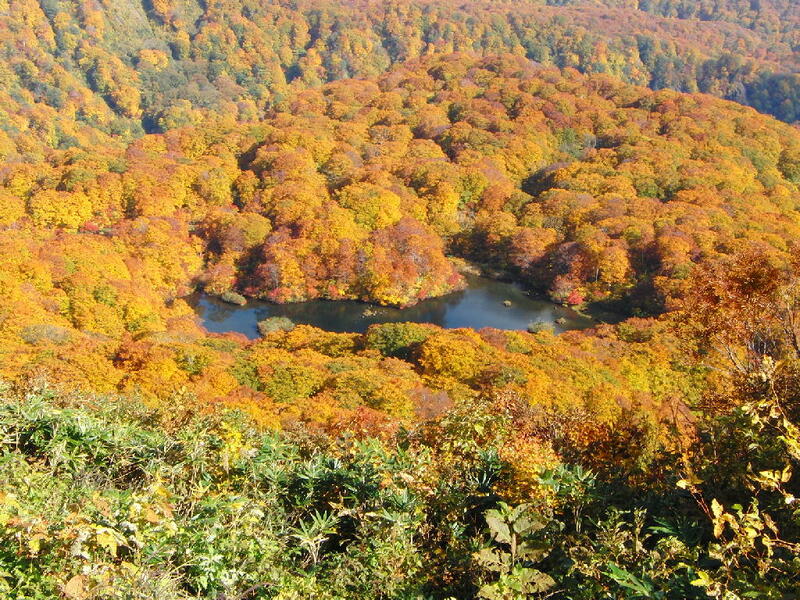 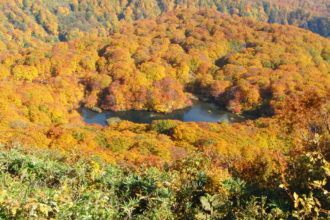 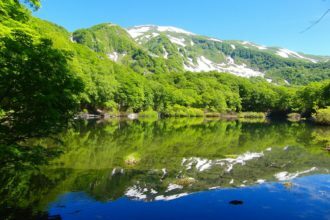 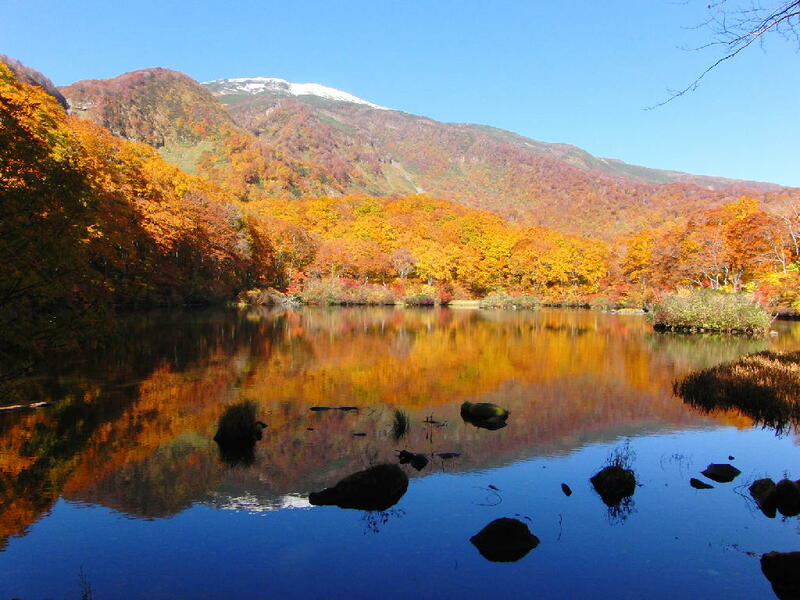 Even without going for a hike, the pond can be viewed from above at the spot named “Nozoki” along the road called Chokai Kogen Line. It has been designated a natural monument by the prefectural government because it is a breeding ground for a species of frog specific to Japan, Rhacophorus arboreus.